So, I was asked to provide a BitMoji for my work to use on a key card. Sounded fun, but honestly, I had no idea what a BitMoji was. I knew what an emoji was, and have even blogged about them. In fact I just checked and I have blogged about emojis seven times. Click here to find my blogs on emojis. You are probably asking yourself, how did he figure out what a BitMoji was? Well, I did what any baby boomer would do, asked a much younger and tech savvy person. I happened to be working in a school at the time asked, so I asked a teacher. She was kind enough to help me find the app, download it, and show we how it worked. I love this reverse-mentoring stuff. What fun! What is funny is that at our 3D Leadership gathering this past weekend, the group was kidding me about using the word “literally” a lot. They created a “literally” hashtag: #literally. How cool was it that there literally is a “lit·er·al·ly” BitMoji. This caused me to reflect about the words and language I use, because we all know language matters. Building a positive culture in our organizations takes commitment, consistency, and teamwork…and adding a little Bitmoji may just add that extra fun you are looking for. Don’t forget, it can also bring some reflection time into your own personal development and growth. Next time you are looking to represent your organization or school’s culture, just remember, there’s a Bitmoji for that! How will you use Bitmojis to add to your organization’s positive culture? Regardless of your position on this topic, “inking” is in. What I’m talking about is tattooing. The interest of young and old in getting a tattoo is increasing. Many of our heroes have ink and we maybe want one too. Amazingly, 25% of those getting tattoos regret it within the first month of getting the tattoo. 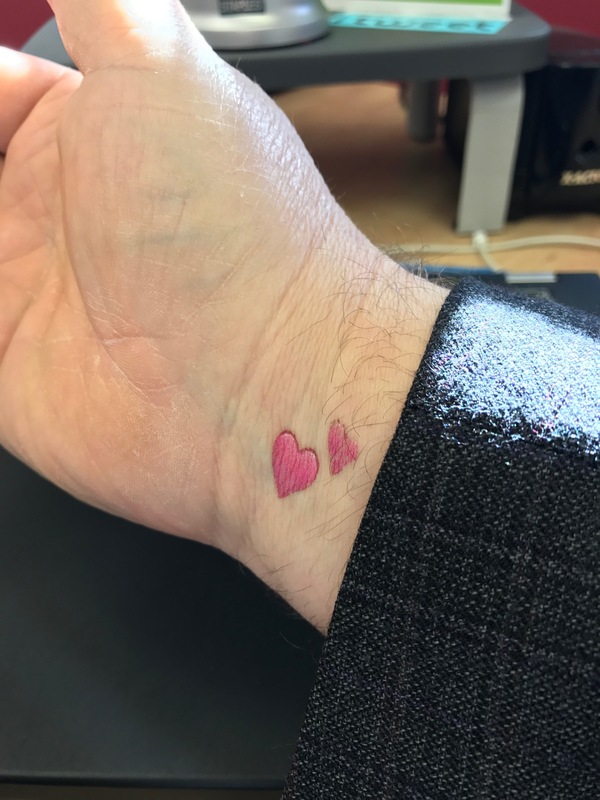 Now, to be clear, I don’t really think I want a tattoo right now, but I do have a temporary tattoo that won’t seem to go away. Let me tell you the story. 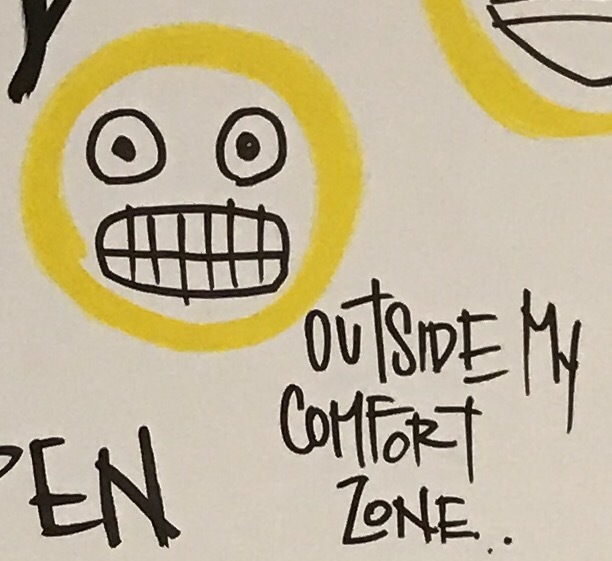 This past weekend we used Emojis as a “through line” for our Focused Leader Academy (FLA) December retreat. The first activity we did had participants pick an Emoji temporary tattoo and put it somewhere on their body. Check out the picture of the sheet of available tattoos. The catch was, you needed to explain why you picked the tattoo you did and the significance of where you placed the ink on your body. Needless to say, we had a lot of fun with this. So, if you were going to get some first time, or new, leadership ink; what would your tattoo be and why? Here is the sixth and final guest post in this series on Emojis from our top teacher leaders. It has been exciting to bring you a new post every day this week from these talented individuals. The goal was for this cohort of our Focused Leader Academy to experience the thrill of putting content out there for anyone and everyone to read in the form of a blog post. They explained that it was a little scary and intimidating to put thoughts out there for others to critique. The biggest question our reluctant bloggers were asking was “Will I be clever?” While, yes, there is a certain amount of vulnerability, blogs can enable self growth, serve as a journal, and most importantly to me – serve as a library of personal thoughts, research, and lessons learned. I go to the archive of my posts often to get information from the past that I have documented in my blog. Blogs are an incredible leadership tool for your organization’s to know about you as the leader, but I believe blogs are most valuable as a personal tool. “People who use emojis are too stupid to communicate with actual vocabulary.” This was a quote we saw on the internet, which sparked controversy. Are emojis stupid? Do people use them as a cop-out for thinking OR as an alternate way of communication? The way people communicate in 2016 come in various forms of email, text, tweets, etc. Does this mean we are dumbed down or actually more innovative and creative? It’s your choice. Courtney Seiter says, “Scientists have discovered that when we look at smiley faces online, the same parts of the brain are activated as when we look at a real human face.” She goes on to say that emojis replace the tone of voice you would hear in typical conversation, thus creating an online version of empathy. When you communicate with emojis, are you using them as a tool to express emotions or as a symbol to replace real vocabulary? Right brained people tend to take a more artistic approach to communication, and like to be shown rather than told. Right brained people also prefer to draw rather than write which may lead us to believe, if you use emojis, you might have right brained tendencies. Symbolism is often used in things like poetry and art. Emojis are essentially a picture that represent words…so could be considered an art form. For example, silent movies can be enjoyable because you get to interpret the story being told. Pictures books are another simpler form of using symbolism for story-telling purposes…could emojis be the same? Left brained people tend to be more detailed and use words rather than pictures. They often find it easier to read things that are straight forward rather than vague. With this being said, a left brained person may find it inappropriate to use these vague pictures to represent specific information, especially if it a message that should not be up for interpretation. In an online environment, sometimes emojis can be misinterpreted. The simple mistake of a winking emoji in place of the regular smiling emoji may lead people to think you know something they don’t. This could lead to over-analyzing and misinterpreting a simple statement. Emotions are complex things and people can have a differing view on what an emoji could symbolize. General Motors actually introduced a publication in all emojis which caused confusion and intrigue. Some people may interpret this as a positive or a negative public relations move. It can also cause a gap of communication between generations. For example, in my personal life, an older family member used the “laugh so hard you cry” emoji with a post on Facebook about a death in the family. They assumed the tears were sad tears, thus causing major confusion and miscommunication. In conclusion, do you find yourself relating more to the benefits or hindrances? If you associate more with benefits…you might just be a right brained person. If you tend to agree more with hindrances, you might be a left brained person. Maybe you’re in the middle, and find it depends on the situation. In the end, it’s all about the audience and getting across the message you’re trying to convey. However you choose to communicate, make sure it’s effective. Emoji: To Use or Not to Use? So, here is the fifth of six guest posts from our Focused Leader Academy teacher leaders. If you take a look at the parts of a good blog post we created I believe you will see that Brenda Culbertson and Amanda Case have connected with readers by finding a great hook, have included visuals, and told a story that you, as the reader, can use. Take a minute and check our their view on Emojis. Just like punctuation, Emojis can change the meaning of a sentence. The meaning can be changed for the better or the worse. There is a strong benefit and hindrance to using emojis in written language. The hindrance is that emojis can be misinterpreted and the benefit is that emojis can aid in the tone of the intended message. Emojis can be misinterpreted when something as simple as 😉 is used. This can be a symbol of an inside joke or a flirtation. The problem is the person on the receiving may take it the opposite way you wanted them to…creating a “pinch”. Should you have used the emoji in the first place? 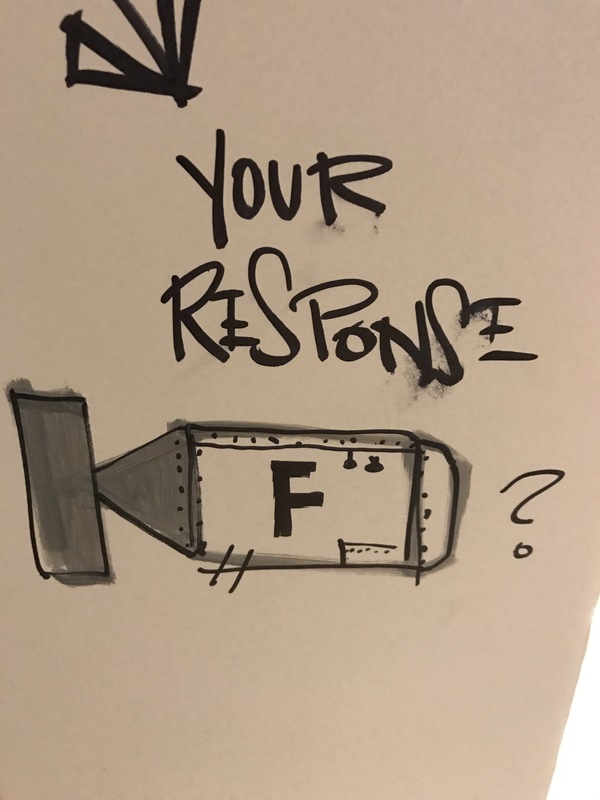 The most evident benefit is that the symbol can add to the tone of your message so that the receiver reads the message as you meant. For example, in a message that seems flat, a smiley face can add a tone of happiness. Can the emoji add an emphasis to your tone? Emojis are here to stay regardless of whether you think they are a benefit or hindrance in your communication. You need to ask yourself, does the emoji help or hurt my message? Before, you had to worry about students dropping an “F bomb”. Just wait until you get an “Emoji Exploji” in your classroom! For better or for worse, emojis have exploded in our culture. Now we must choose to embrace or reject them. 😀What are the benefits of emojis in the classroom? 😕What are the drawbacks of emojis in the classroom? Smiley face! Frowny face! Heart! Emojis are everywhere. Do they help or hinder in the classroom? Used correctly, emojis can be beneficial in education. 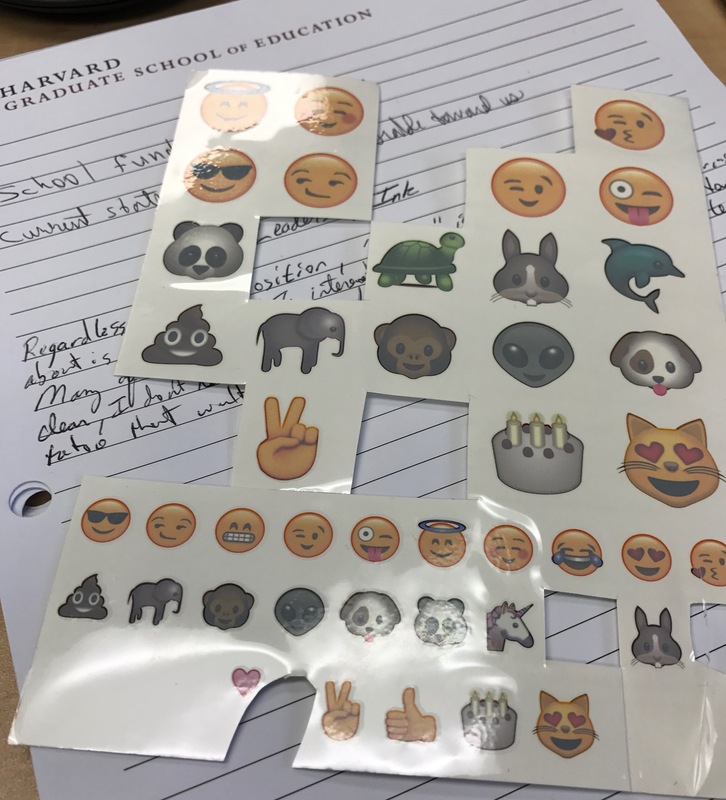 Emojis offer another method of communication between students and teachers. 1. Communication feeling or emotion: emojis can communicate feelings or emotions of students to teachers. Students who may not know the words to associate with their feelings may be able to communicate those feelings through the use of an emoji instead. 2. Visual: emojis are a graphic and visual representation of thoughts and feelings. Students are often visual learners and drawn to such representations. 3. Engaging: emojis are a way for students to engage with one another, or even with the teacher, in the classroom. Students can share thoughts and feelings with one another. 4. Check for Understanding: teachers can use an emoji to check for understanding or a student’s feeling or attitude about a particular topic. 5. Quick and Easy: emojis are a quick check and easy to use for both students and teachers. 6. Variety: there are a variety of emojis to choose from when making a selection. Students may be able to find and communicate something for which they don’t have the vocabulary to communicate. 7. Icebreaker: emojis can be used to ease the awkwardness of an uncomfortable moment or message. 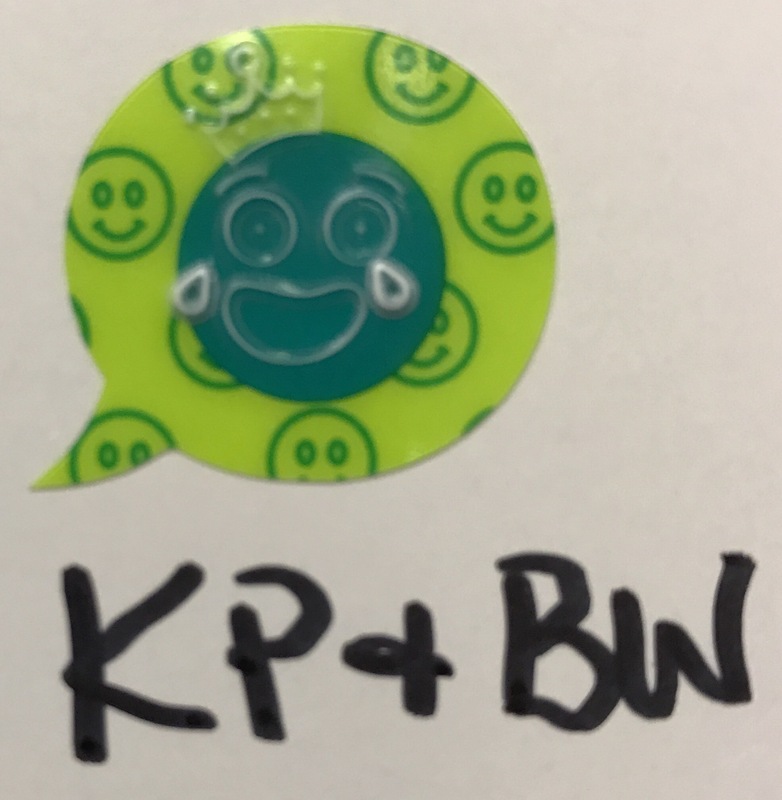 How can YOU use emojis to communicate with YOUR students in a positive way?